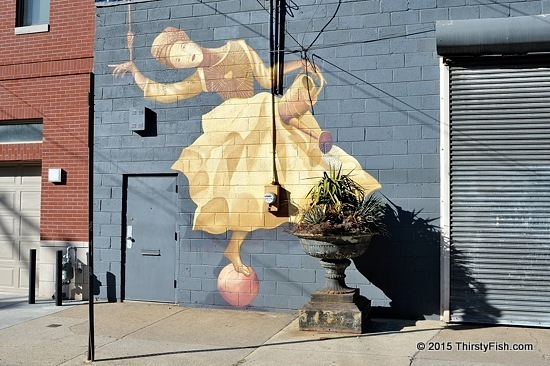 A Philadelphia mural spotted while on a walkabout. You might remember this same wall. Envy is defined as: "[an emotion which] occurs when a person lacks another's superior quality, achievement, or possession and either desires it or wishes that the other lacked it". It is one of the Seven Deadly Sins. What distinguishes envy from the other sins is that it is recursive; Mostly, our greatest envy is to be envied. It's true that we envy another's qualities, achievements or possessions, but we envy more that they are envied for them.